In an appeal filed by RTI activist Subhash Chand Agrawal against Department of Legal Affairs, Government of India, the Central Information Commission has ordered that information on the appointment of law officers and also whether there was any proposal from the Law Ministry asking the former Attorney-General G.E. Vahanvati to “take part in the 2G allocation matter” be shared with Mr. Agrawal. Mr. Agrawal, on the basis of news report “UPA Loses another SG as Nariman quits’, ‘Raja made changes in 2G pressnote says AG’”, had asked the government to give him Complete information together with related file­noting/ documents/correspondence onappointment of Shri GE Vahanvati, Shri Gopal Subramanium and Rohinton Nariman as Solicitor General including copies of notifications issued in this regard alongwith ‘Copy of any proposal/reference by Union Ministry of Law and Justice for Attorney General G.E. Vahanvati to take part in discussion­process and/or drafting press notes etc in respect of allocation of 2G Spectrum as mandatory under rule 8(e) of Law Officer (Service Conditions) Rules 1972’ amongst various other documents and correspondence. Mr. Agrawal then preferred a first appeal, which was rejected and then he approached the CIC. The CIC after going through Section 7(9) of the RTI act and the judgment delivered by High Court of Kerala at Ernakulam in the case of Treesa Irish W/o Milton LopezVs. 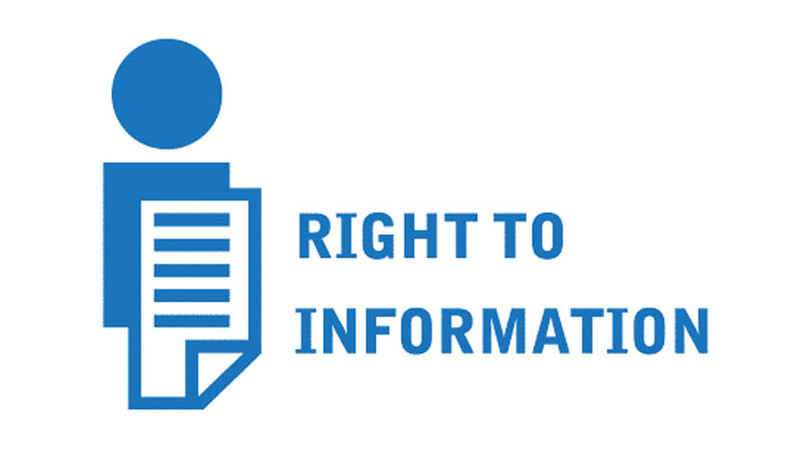 The Central Public Information Officer, The Appellate Authority, The CentralInformation Commission and Union of India, ordered that the information relating to ‘any proposal/reference by Union Ministry of Law and Justice for Attorney General G.E. Vahanvati to take part in discussion ­process and/or drafting press notes etc in respectof allocation of 2G Spectrum as mandatory under rule 8(e) of Law Officer (Service Conditions) Rules 1972.’, and ‘complete information on action taken against Attorney General G.E.Vahanvati for violating rule 8(e) of Law Officer (Service Conditions) Rules 1972.Throughhis taking part in discussion­process and/or drafting press­note in respect of allocation of 2G Spectrum’ be provided to Mr. Agrawal. Former Attorney General of India Vahanvati’s role when he was a Solicitor General during 2G spectrum allocation had come into question. Thereafter, he was given a clean chit. Mr. Vahanvati passed away in September 2014 due to a cardiac arrest.